I drink a lot of tea, and have used a lot of cups: large ones, small ones, cheap ones, expensive ones, porcelain ones plastic ones, souvenir ones, and give-aways. Sometimes I feel like Goldilocks trying to find the perfect vessel for my brews. Now I think I’ve finally found the perfect cup: the Kinto Unimug. It’s light-weight, heat-resistant, and chic. This tea mug is perfectly designed for form and function. Truly a unisex design ideal for any tea lover. An average cup weighs anywhere between 10 oz to 1 lb. Add water, and your cup of tea could be almost 2 lbs! The great thing about the Unimug is that it weighs only 3 oz! The Unimug is made with a new material that features high transparency and durability. It is dishwasher safe and microwavable. 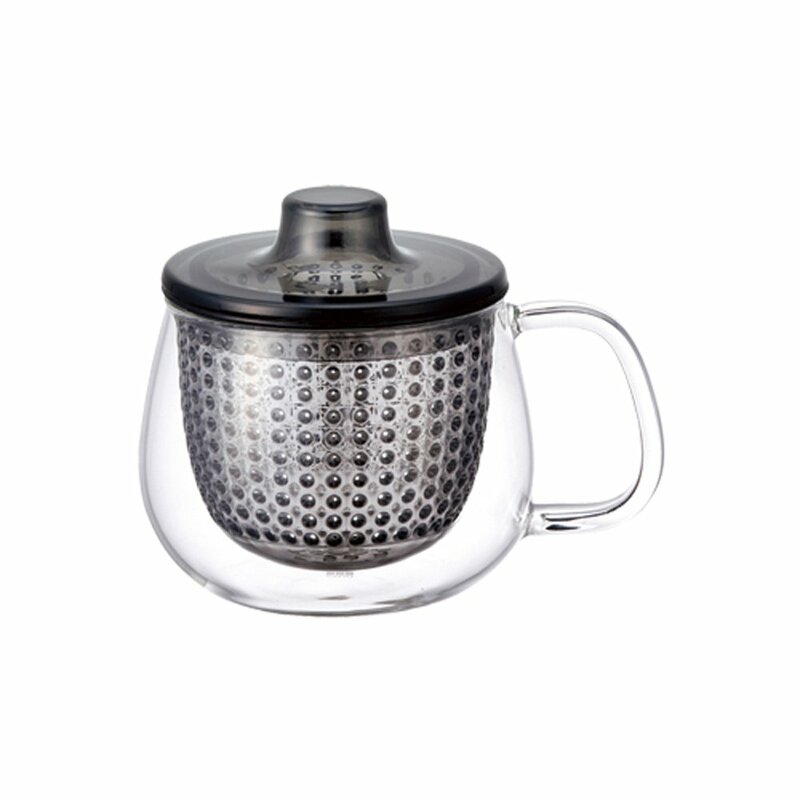 The mug also comes with its own strainer that sits seamlessly in the mug and a lid. This allows you to conveniently brew a single serving of tea. To complete the perfect mug, you can purchase an additional strainer holder which perfectly cradles the strainer when you are not using it. I love using this cup. Sometimes, I brew a cup of green tea just to admire its beautiful color, which is not something you get to do with your average mug. Kinoto Unimug — it is two thumbs up in my book. Now in stock at both Albuquerque and Santa Fe locations.